I travel for work, pleasure and adventure, for time with family away from home, to celebrate birthdays and weddings, for research, for love and for duty. That said, my idea of happiness includes just a few days of solo travel. Alone, with a few restaurant reservations in place (one must!) and the perfect hotel to make myself feel at home in. There are few cities that lend themselves so well to a solo traveller as London. The magical combination of history, amazing museums, great bookstores, architectural delights (from Edwardian and Georgian to Victorian), good food, the ability to walk anywhere in central London and an efficient transport system makes the city an inviting retreat. Four days alone is what I have planned for myself, and my first priority is booking the right hotel. While I am all for the new and modern, at heart, I enjoy the comfort that a traditional touch brings. I love beautiful linens, soft lighting, a crackling fire, spectacular flowers, good books, gleaming silver, just the right products by my bedside, warm service, smiling faces, lots of friendly chatter, a perfectly-made cold martini, pleasant scents, no noise apart from a distant vocal from Dinah Washington or a riff by John Coltrane, a menu packed with comfort food, dimmers that dim, curtains that keep out the light and, of course, an enviable location. I also want to be able to walk out into a clean cobbled street and pop into a gallery or two and stop by at a bookstore, before ambling back to my room. I do not want to see people I see regularly in Delhi or NYC. And I certainly do not want to have to do anything that is considered ‘of the moment’ if I feel less than inclined. I find all of what I am looking for, and more, at The Connaught and The Berkeley. 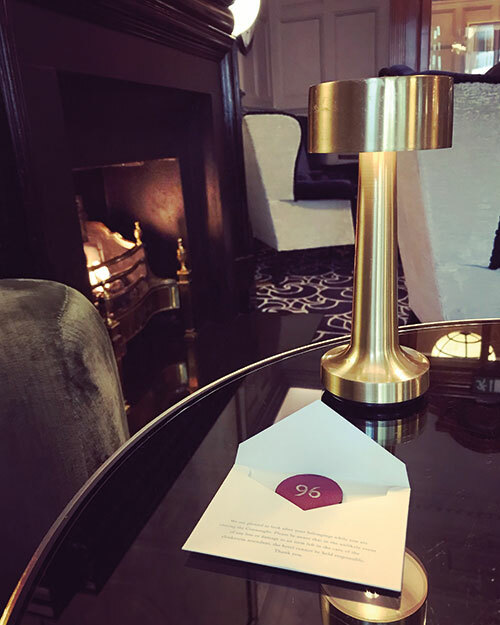 One of the three spectacular hotels from the Maybourne Hotel Group — the other two being The Berkeley and Claridge’s — The Connaught is unapologetically refined, in the best possible way. There is nothing remotely stuffy about it. It is grand but subtle, elegant but not intimidating. It kind of feels like my (imaginary) wealthy English aunt’s home…the kind that’s been in the family for generations. The ‘Darling, relax, have a 4 p.m. cocktail and sit by the fire’ kind of place. Located in a beautiful square in Mayfair which is a hop and skip away from everything I want to see in London, the hotel originally started out as the Coburg in 1897, formed of two houses owned by the Duke of Westminster. The Connaught is a beauty to behold, I discover, as I pull up after a long flight and bleak drive through the outskirts of London. This jewel of a property is unlike the typical greats, and refreshingly so. There’s no marble lobby and no soaring ceilings. Instead, I am greeted by smiling top-hatted doormen (who are warm and welcoming even at 7.30 a.m.) and a carpeted lobby, teeming with beautiful flowers arranged impeccably by the best florist in London, McQueens. 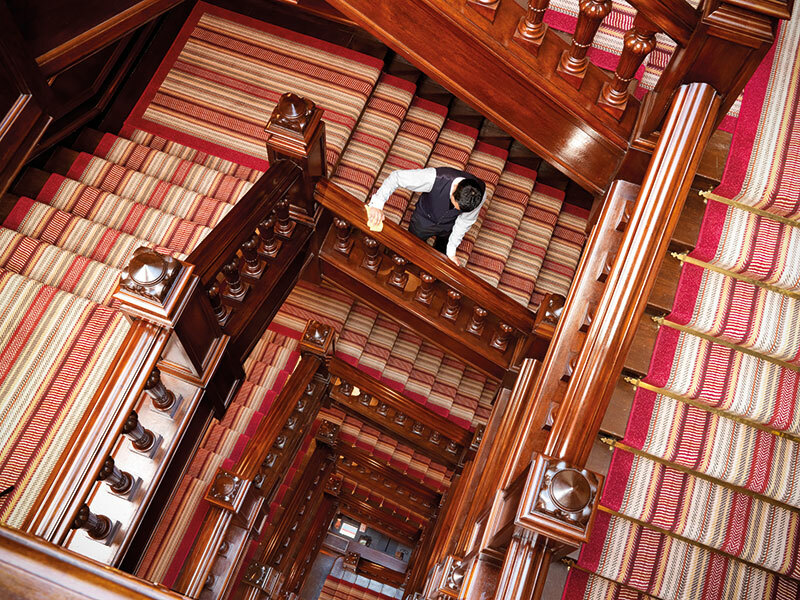 The lobby boasts a magnificent staircase made from teak, polished and grained to look like mahogany. An interesting titbit to know about the staircase is that it was built sometime in the 1890s, with the architect specifying that it should be made wide enough for two ladies to be able to stand side by side, with their wide skirts typical of the era taken into consideration. Apparently, Ralph Lauren loved the stairway so much that he replicated it in his flagship store. This staircase encapsulates exactly what I love about this hotel. There’s history, a human touch, attention to detail, warmth, beauty and playfulness. I take those stairs daily and discover some lovely oil paintings. What I love is that the oils are not just of grand lords and ladies or of cold landscapes (as is the case in most historic structures) but also of majestic dogs and hounds. Walking into my suite, I am greeted by the usual bucket of champagne, but there are a couple of other surprises: a bowl of lychees (one of my favourite fruits) and a dozen pink macarons! This is going to be, I feel, the beginning of a beautiful friendship. The room has all the right touches. As a woman, I have seen plenty of the best hotels that do not understand what women seek out in a space — how we look for lighting, a place for our jewels, a soft cushion on the chair in front of the mirror for our make-up routines, a full-length closet with ample drawer space and, the final flourish, an indulgent bathroom. I am thrilled to see that everything at The Connaught is just as it should be. After I unpack, I wonder whether I am in the mood to step outside on such a chilly morning. I decide I am not. And so, I continue to enjoy the comforts of my beautiful room instead. The Connaught has two great restaurants helmed by chefs Hélène Darroze and Jean-Georges Vongerichten. The Jean-Georges is one of the best breakfast spots in London, with its floor-to-ceiling windows, comfortable sofas and charming view of Carlos Place. Ready for my day, I take a stroll through Mayfair (do not miss the David Zwirner, Hauser & Wirth and Lisson galleries), eventually wandering into Liberty. One of London’s oldest department stores — and in my opinion, its most beautiful — Liberty is a stunning Tudor revival building dating back to 1924 that was constructed from the timbers of two ships: the HMS Hindustan and the HMS Impregnable. Liberty’s main focus in its early days were Eastern textiles which it introduced to the world; and the store still has an impressive archive from which it derives its distinctive prints. 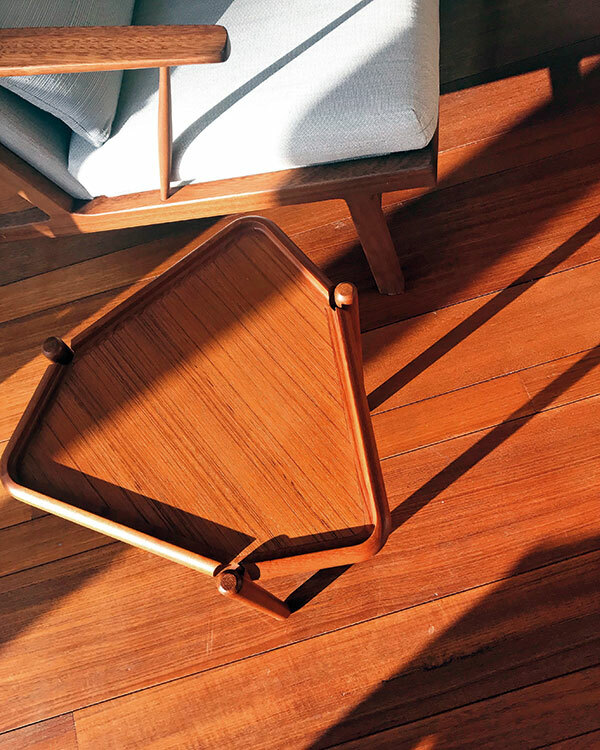 Browsing through floor after beautiful floor of gorgeously edited fashion, beauty and home decor sections is a great way to spend an afternoon. Soon after, The Connaught beckons, and I quickly find myself back in my room, sinking happily into my soft bed. 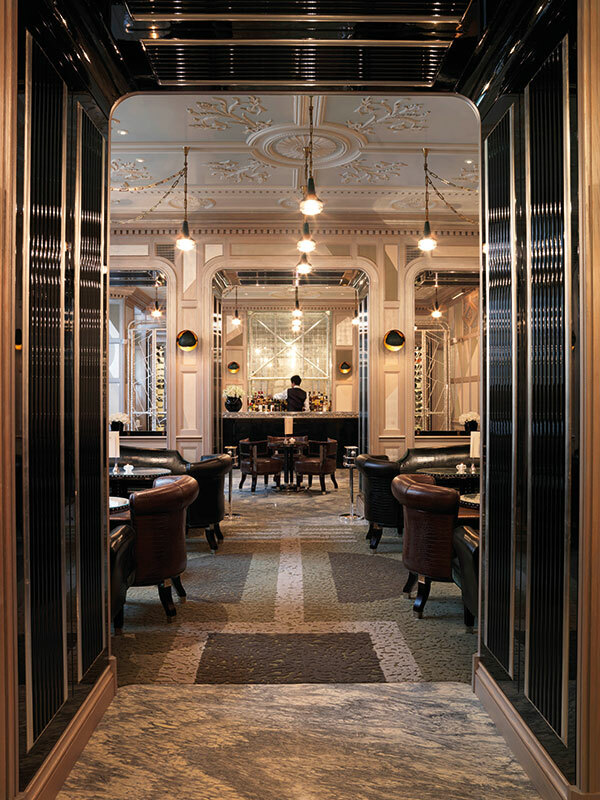 That evening, my last at the gorgeous property, I head to The Connaught Bar, which is an art deco dream of copper, brass, glass and the most flattering lighting. Plus, a bartender who knows exactly how to fix the perfect martini! It’s wonderful to sit alone in a cosy bar with a book in hand and just enjoy the thoughtful service and attention. 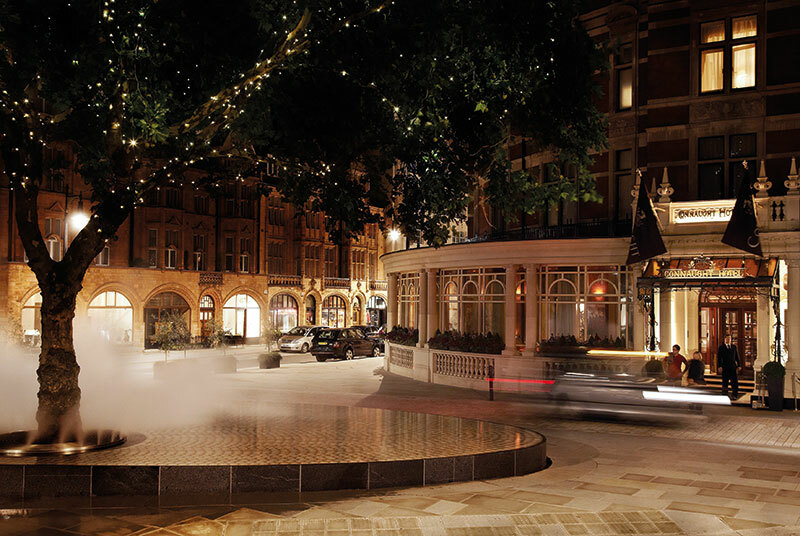 After my experience at The Connaught, I was eager to spend a few days at The Berkeley, which sits next to the vast expanse of Hyde Park, in the heart of Knightsbridge. It opened in 1897, and despite various redesigns, it has maintained its air of elegance and finesse. 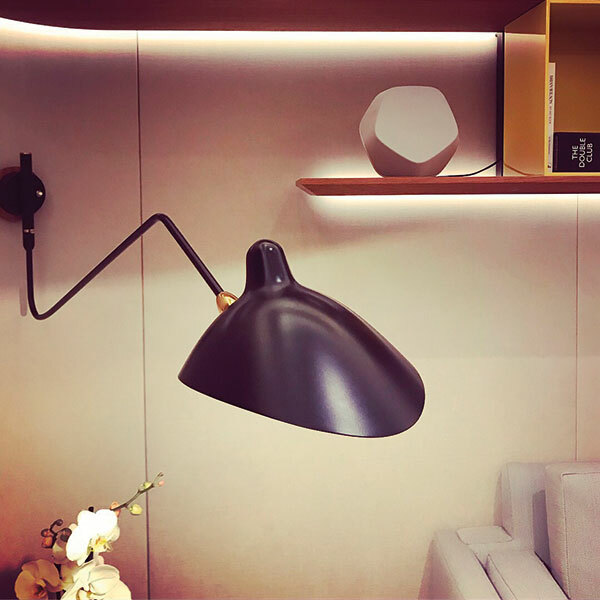 The property boasts spectacular suites with insane views of London, with architects John Heah and André Fu recently refurbishing many rooms in an intriguing Asian/British fusion fashion. 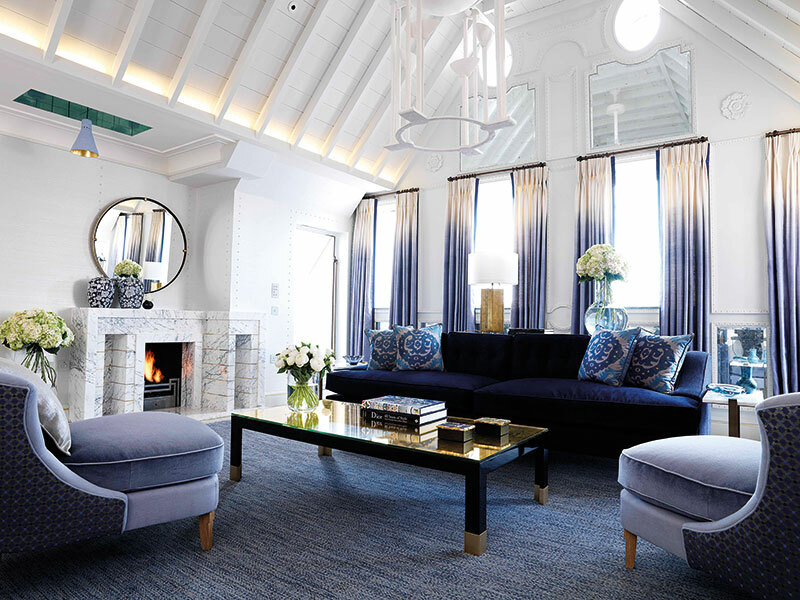 The Berkeley is also home to The Blue Bar, which was designed by David Collins and which incorporates wood panelling by Edwin Lutyens, who created the Lutyens Blue colour scheme for this space. Having grown up in Delhi and associated Lutyens with the grand whitewashed bungalows of my youth, this was certainly interesting. I was lucky to find myself in the Heah-designed Grand Terrace Suite for two nights. It is such a gorgeous suite of rooms, in the most wonderful sense. Japanese-style wooden partitions and an all-wooden bathroom with a gigantic bathtub, Scandinavian-inspired cast-iron light fixtures and little objets d’art and books by authors P. G. Wodehouse and Kingsley Amis coupled with a view of the mossy St. Paul’s Church lends the space a dreamy vibe. If The Connaught was the imaginary home of a very posh English aunt, The Berkeley is the home of a stylish Scandinavian uncle who travels the world, has a particular love for Asia and who has happened to make England his home. 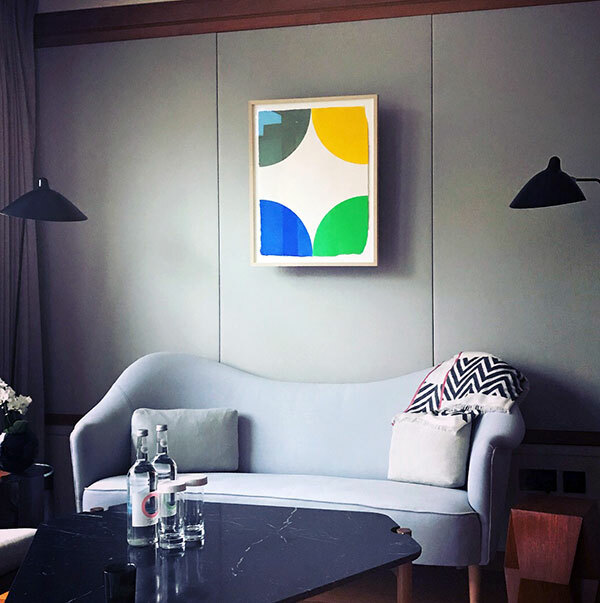 One of the striking features at The Berkeley is the artwork that is scattered throughout the property’s public and private spaces — it is well curated and not the generic daubs one finds in some hotels, nor the pseudo-moody photography of others. 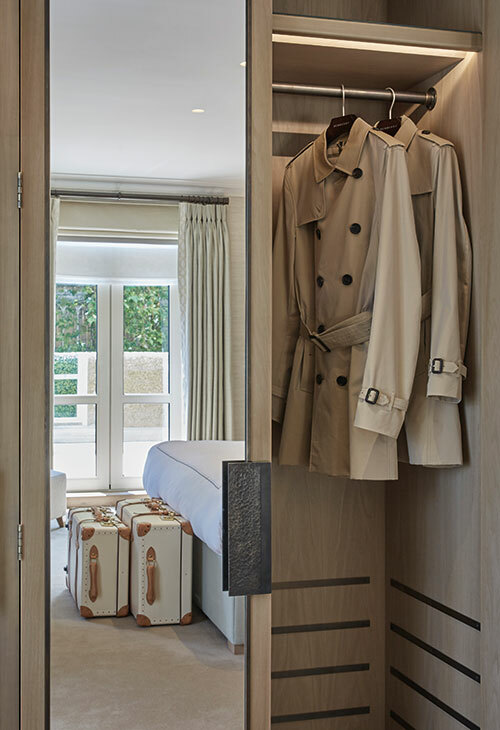 With great art and good books in my room, a private balcony in my suite and a superb two-starred Michelin restaurant Marcus by Marcus Wareing on the premises, I decide to stay in and enjoy my days doing very little but reading and exploring both the hotel and Hyde Park. Exploring the hotel means peeping into a few of their rooms. The Grand Pavilion and Crescent suites are real showstoppers. 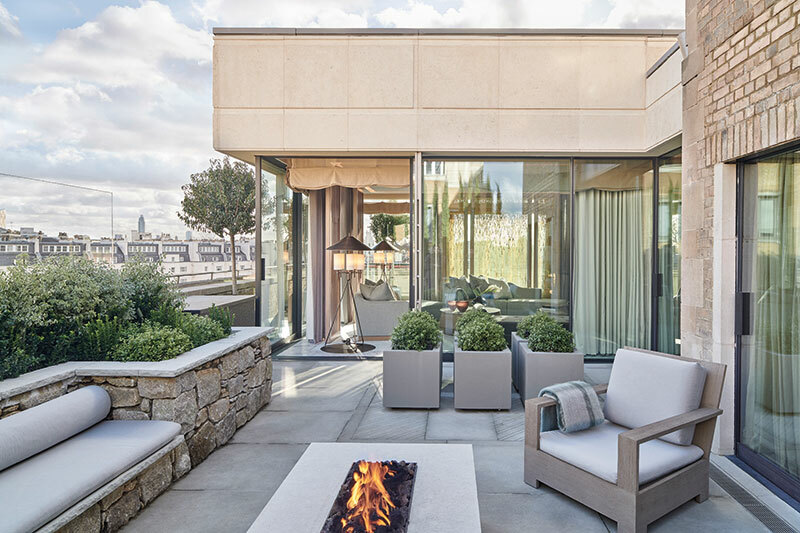 They are both glass-enclosed penthouses with views overlooking what seems like all of London, and with an outdoor fire pit on a wrap-around balcony. Aflush with warm woods, soft greys, bronze chandeliers and muted ceramics, this one is a lesson in minimalistic luxury. The mark of any amazing hotel lies not just in its grand entrances, rooms, decor or even location. Instead, it lies in the people behind the hotel. Both The Connaught and The Berkeley are at the top of their game, with their warm service and human touch infused in every detail. The staff at both properties aren’t stiff in the slightest…and even the simplest request — which in my case was asking for a particular flavour of potato crisps I was craving — was humoured with grace. And this is what will see me return to these two lovely venues every time I stop by in London.